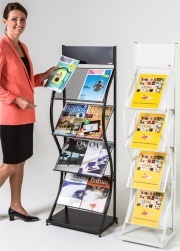 Brochure, Leaflet and Literature Holders: Our large range of brochure, leaflet and literature holders, dispensers and stands include many different styles, colours, sizes and mounting options. We offer a selection of freestanding, wall mounted or countertop brochure, leaflet and literature holders. 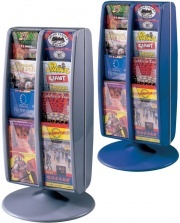 Our range includes contemporary metal brochure holders or traditional wooden brochure dispensers. Whether it be a leaflet holder, promotional literature dispenser or to display your corporate literature we are sure to have a literature holder to suit your needs.